Patricia first came to us in 2009 and had been suffering from neck pain, stiffness, and headaches for over 15 yrs at this point. She had tried joint pain pads, ib profin, and had even been to other chiropractors. Patricia had to take so much ib profin to help the pain and inflammation that she even developed intestinal problems as a side effect. Not long after Patricia came to Valley Spinal Care she can now move her neck without being in pain, no longer wakes up with headaches, has more overall energy, and sleeps through the night waking up feeling refreshed. What Patricia likes most of all is being pain free, not having her neck jerked around by a chiropractor, and the wonderful conversations she get's to have with Dr. Steve. Catherine first came to us in 2008 with neck pain, shoulder pain, low back pain, leg pain, and had very little movement in her neck. She has been suffering for over 30 years. Catherine felt like she had tried everything from pain meds, conventional chiropractic care, and even acupuncture. All of this had definitely cost a pretty penny. She can now do housework, yard work, exercise, assist with construction work, and participate in prolonged physical activity. 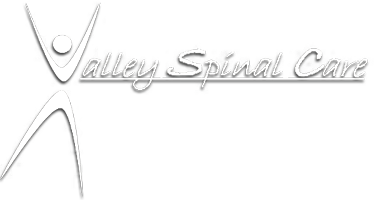 All of which was not possible before coming into see Dr. Steve here at Valley Spinal Care. She is now says that she is physically, emotionally, and mentally stronger than she has ever been in her life. What she likes most about her care here is the gentle adjustment, always receiving positive information, and feels as though her health has been restored!